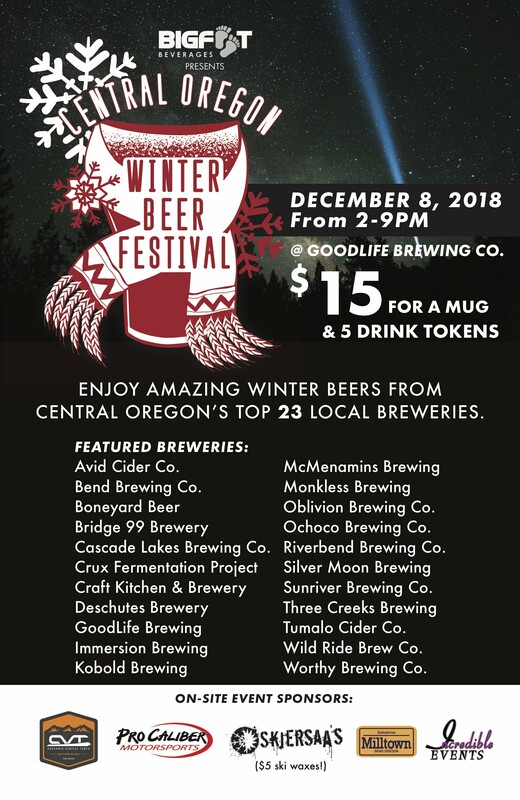 GoodLife Brewing is hosting the 6th Annual Central Oregon Winter Beer Festival presented by Bigfoot Beverages in the Century Center parking lot on Saturday, December 8th, 2018 from 2pm-9pm. Last years festival had 22 breweries involved and just over 1,000 attendees, and this year is going to be even bigger with the addition of a few new partner sponsors. This annual event is held the second Saturday in December at GoodLife Brewing, and we are happy to announce Bigfoot Beverages as our Title Sponsor again in 2018. COWBF is a fundraiser for the Central Oregon Brewers Guild, COBG, which works to bring outside awareness to Central Oregon by focusing on our local craft beer culture, with a mission to drive tourism and commerce to Central Oregon, as well as surrounding Oregon communities. 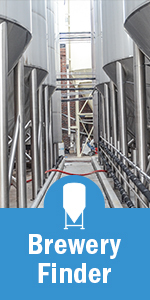 The COBG is composed of people working at Central Oregon breweries and was formed to give Central Oregon beer a united voice. 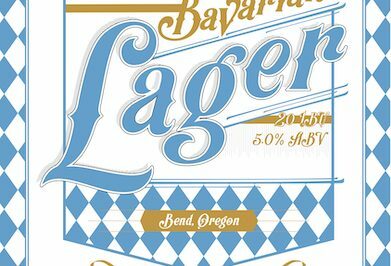 Central Oregon Winter Beer Festival is a showcase for seasonal and specialty beers brewed in celebration of the holiday season. Admission to COWBF will be $15.00 and attendees will receive a commemorative COWBF mug, as well as 5 drink tokens. Each additional token will cost $1.00. The festival will be in a heated tent provided by Incredible Events with live music and a DJ playing throughout the day and night. To continue growing the event, this year we have added Pro Caliber Motorsports and Cascadia Vehicle Tents who will be bringing some of their goods to show off, while Skjersaa’s Ski and Snowboard Shop will be waxing skis and snowboards for $5. In addition to toys and gear, we’ll have Big Ski’s Pierogi, Das Brat, and Parrilla Grill on-site serving up delicious food. For additional information regarding the festival, please contact Chris Nelson at chris@goodlifebrewing.com. To sign up as a volunteer pourer for the Central Oregon Winter Beer Festival, please email Lauranne “Lou” Crooks at cobg.lou@gmail.com.